One of the most important features of Obamacare’s online operation is the “data services hub”— the $55 million worth of computer software that enables the government to verify applicants’ eligibility for costly health insurance subsidies. While federal and state-operated health insurance exchanges initially act on the honor system in accepting applications from low-income Americans seeking insurance subsidies through the federal tax system, they are required to confirm those applicants’ annual income, Social Security numbers, citizenship status and whether they are incarcerated through on-line queries to the Social Security Administration, the Internal Revenue Service, immigration and homeland security agencies and other government entities. But a new report issued Wednesday by the U.S. Government Accountability Office found that even with tens of billions of dollars in subsidies costs at stake, the Obama Administration has taken a “passive approach” to ferreting out potential fraud and often fails to act even when queries made through the hub turns up conflicting information – or no corroborative information at all. Although the data hub “plays a key role in the eligibility and enrollment process,” according to the report, the Centers for Medicare and Medicaid Services (CMS), which oversees the implementation of the Affordable Care Act, does not track or analyze aggregate outcomes of data hub queries. “In doing so, CMS forgoes information that could suggest potential program issues or potential vulnerabilities to fraud, as well as information that might be useful for enhancing program management,” the report states. The report doesn’t pinpoint actual fraudulent activities, but it makes it clear that applicants have plenty of opportunities to game the system without fear of getting caught because many agencies routinely fail to verify personal information requested by the insurance markets through the hub. For example, about 431,000 applications from the 2014 enrollment period still had unresolved inconsistencies as of April 2015, with about $1.7 billion in federal subsidies at stake, according to the GAO’s analysis of CMS data. Moreover, CMS did not resolve Social Security number inconsistencies for about 35,000 applications or questions about incarceration for about 22,000 applicants. Those 57,000 applications in question involved subsidies totaling $222 million. During an undercover probe by GAO in 2014, investigators using fictitious names and information obtained a total of about $30,000 in annual advance premium tax credits and other benefits from federal insurance market places, either online or by phone. “The fictitious enrollees maintained subsidized coverage throughout 2014, even though GAO sent fictitious documents, or no documents, to resolve application inconsistencies,” the report states. Under the 2010 Affordable Care Act, the government has helped millions of previously uninsured Americans obtain both market-rate and subsidized health care insurance through insurance exchanges created by the federal government or the states. According to the non-partisan Congressional Budget Office, the government has spent $37 billion in fiscal 2015 for subsidies and related spending. 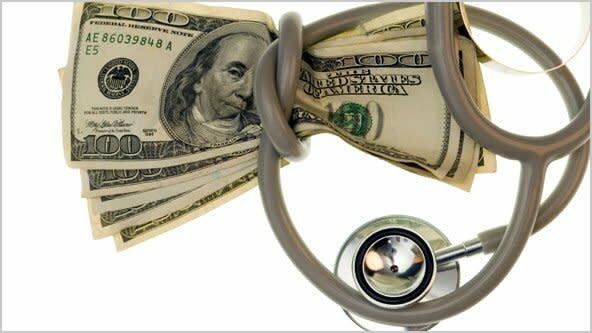 The CBO warned that the cost of the subsidies will steadily rise, to as much as $105 billion by 2025, yet CMS appears to be lackadaisical in monitoring for fraudulent activities, or even bothering to connect the dots generated by the hub. Without citing specific examples of fraud other than the undercover tests by investigators, the GAO study cautioned that there are plenty of opportunities for defrauding the program in the face of such lax oversight and fact checking. The study, first reported by the Associated Press, had been requested by members of the House Energy and Commerce Committee, which oversees the budget of the Department of Health and Human Services and CMS. When she was asked today about the GAO report at a committee hearing, HHS Secretary Sylvia M. Burwell defended her department. "With regard to the issue of making sure the right people are getting any taxpayer subsidy, we take it very seriously," she said, according to the AP. GAO made eight recommendations for protecting against fraud, including having CMS consider analyzing outcomes of the verification system and to take steps to resolve inconsistencies. HHS has concurred with GAO’s recommendations.